this is so so sweet...great card..
Oh so cute...love the colors you used! Fabulous colors and perfect card...never thought of her for Valentines! oh this is BEAUTIFUL! Love the papers and colors you chose! What an adorable card!! Love the traditional pink and red combo with a bit of grey thrown in - works so well. Gorgeous colouring and I love the two teeny weeny flowers!! Very nice. I love all the hues of pinks and reds you used!! Ohhhh!!! this is so girly and tender. Love it!!! Sweet card. Love this image. sweet card! i am ready for valentine's day too! happy holidays! Aw this is so sweet! Great card! Aw, your card is sooo sweet! Love the colors you used and your coloring of Anya! Such a sweet card, Candace! What a cute card, thank you for sharing it. 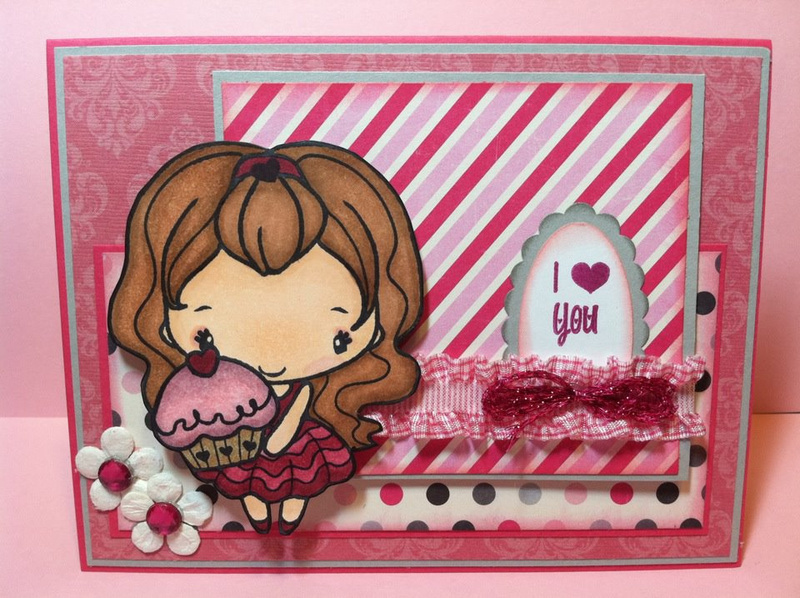 Very cute.. great coloring and layout..
Adorable card! I love all the pink. What a sweet card Candance! Love the colors and your coloring ROCKS! Awwe she is so sweet! So sweet! Love the frilly ribbon. OF COURSE I ♥ it !!!! Wow! Awesome coloring! I love it! Great job working the pinks in! I love the colors you have chosen for Birthday Anya 2. She looks gorgeous. TFS. awwww this is soooo sweet!! love the alteration! She's so cute, and looks like she works for many occasions! Love this take on her! So sweet! I love the layers of the paper and your coloring is lovely! hehehe! Girl this is awesome! So pretty and soft! She's gorgeous! Wonderful job! This is so stinkin beautiful!!! I just love love love it!!!! (Please dont enter me into the prize drawing) I just wanted to let you know how much I love this!